For accounting professor Fred Phillips, that was a startling realization. A recent study by Phillips has shown that making accounting problems simple does not help students as much as making those same problems difficult. "When I first started teaching, I thought my role as a teacher was to take difficult topics and make them easy," said Phillips, who has been teaching in the Edwards School of Business for the past 20 years. "While there is some immediate value in that, it is fleeting—it degrades in memory over time." By making students struggle with problems—introducing designed difficulty into problem solving—Phillips has discovered that students have fared better on topics over the long term. 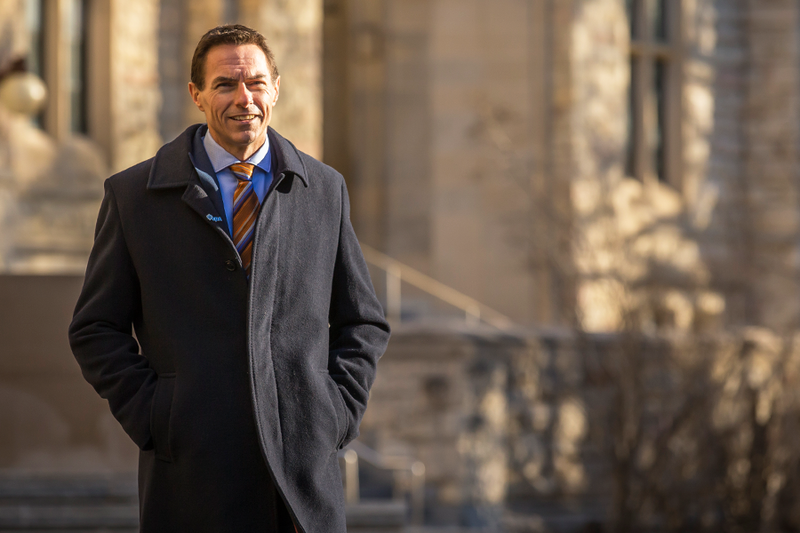 "When students have to really think and evaluate what they have to do, this desirable difficulty contributes to meaningful learning," explained Phillips, a recipient of the 3M National Teaching Fellowship, the highest teaching honour in Canada. To gain a better understanding of this concept, Phillips recruited 170 business students to take part in the study outside of class. One set of students was given a series of accounting problems in successive order, each concept building on the next: essentially they learned "A," then "B" then "C" in a grouped pattern (think practicing a sequence of problems as AAABBBCCC). The other group received interleaved problems where A, B and C were presented in a non-grouped order (ABCABCABC). This group did not practice A, B or C in successive order and students took longer to solve the problems. "The theory is that struggle leads to longer- term connections in memory that won't degrade as much over time," said Phillips. Immediately following the practice problems, Phillips tested both groups on the concepts. The first group, Phillips explained, could do the problems faster and scored higher (by about eight per cent). Phillips tested the students once more a week later. This time the second group came out on top by about 15 per cent. Interestingly enough, the first group's score dropped significantly compared to the previous scores (a 27 point decline), while the second group's score dropped on average by only four per cent. "Desirable difficulty contributes to meaningful learning," said Phillips, adding that he has a hunch that the difference would dissipate with time. "The real challenge is to help students see the value in struggling, failing and overcoming. It's challenging for professors as well because we are evaluated by students on how easy we make their learning feel. It's not intuitive for students or instructors to value learning difficulties. It doesn't feel good." Phillips said he reminds himself "our job is to help students overcome difficulties. We need to think carefully about the hurdles students struggle with and making those hurdles an intentional part of the instructional process. Let students struggle, but be there to help."